As we head into holiday season, the kitchen tends to be one of the most chaotic spots in the home. And as we all know, kids love to be close to the action! Safety 1st Consumer Safety Expert Julie Vallese shares some great tips that will keep our little ones safe. Let’s start with the stove. The knobs and buttons on the stove are something that for some reason children always gravitate to. You’ll want to make sure you have knob covers for the stove to keep kids from turning the stove on or off when you are cooking. Also, when cooking on the stove try to use the back burners whenever possible to keep flames and hot surfaces as far away from children as you can. And always keep those pot and pan handles turned in. You also do not want to hang anything on the oven door. A young child may try to use a dishtowel to stand up and it could open the stove door and come crashing onto the child. A stove lock can also help avoid this hazard. 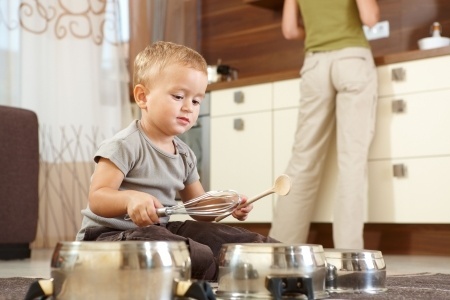 Finally, when you’re cooking you’ll likely be in and out of the fridge, and your toddler might try to do that same. To help avoid this you can use a fridge lock. 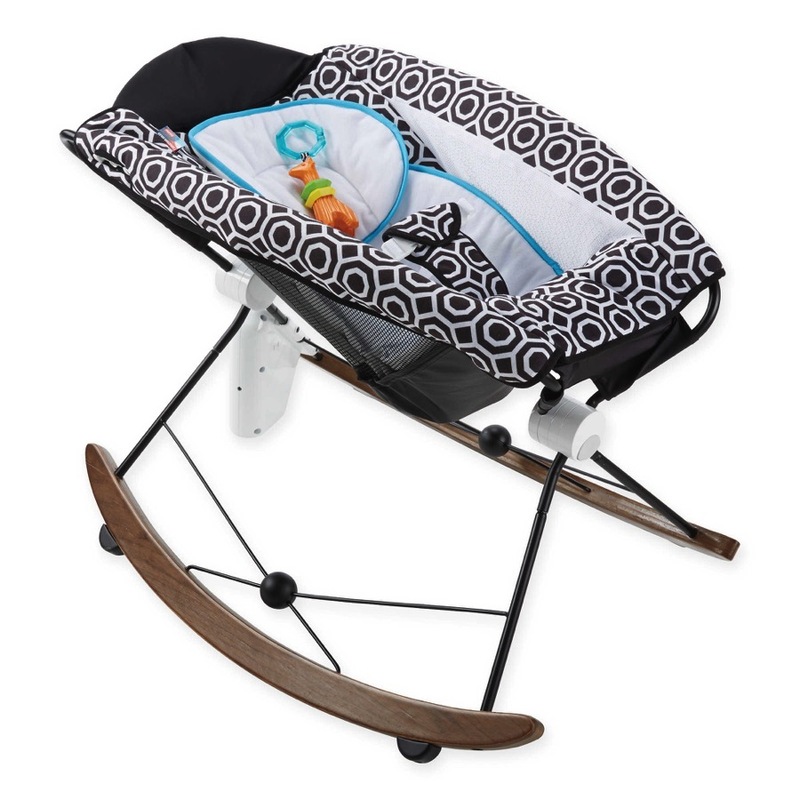 The lock goes on and makes it difficult for your child to open it, but not difficult for you. 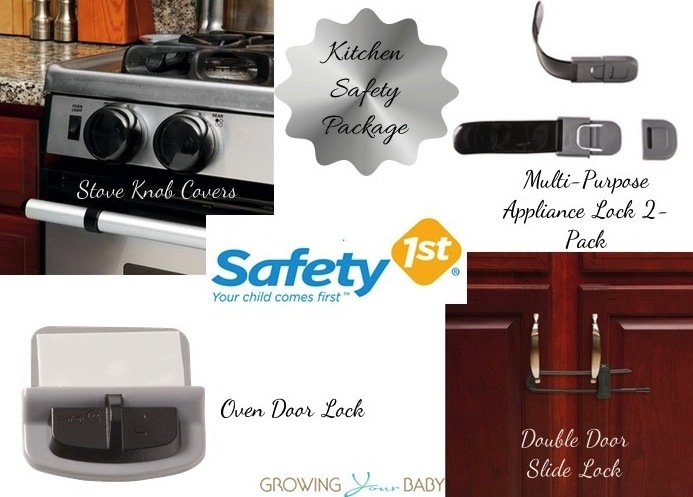 These tools will help make the kitchen safer, but remember nothing can take place of keeping an eye on your child. When spending time with family and friends during the holidays, have someone else take a turn watching your little one in a different room. To enter please tell us how you have kid proofed your kitchen! Celebrity Families Walk The White Carpet At Disney’s Frozen Premiere! I turn all of my handles in and use a timer so that I don’t lose track of what is happening in the kitchen. We keep all of our cleaners in the top shelf in the laundry room and sharp knives in the butcher block in the back of the counter. We talk to our kids about the dangers in the kitchen. I have pointed out the areas they can be in while I am cooking and the ones that are off limits. Kitchen safety is really important to us and we have made the kids very aware of this since they were very little.